This charming community boasts historical architecture, rich cultural elements and a small-town feel that captivates its residents. Welcome to the Village of Franklin. Tucked between the much larger communities of Bingham Farms, Bloomfield Township, Southfield and Farmington Hills. Franklin, is a peaceful, wooded enclave steeped in historical significance and dotted with some of the stateliest, most well-maintained homes in Metro Detroit. Franklin’s residential, winding streets are lined with mature oaks and elm trees. Many of the unique homes sit beautifully on sprawling lots, with rolling lawns, set way back from the road. In fact, you’re not going to find row after row of carbon-copy homes like you will in many other communities. Rather, this small village offers an eclectic array of houses that possess true character. Although the village has been around since the 1820’s, the building of modern homes did not begin in earnest until the 1920’s, and many of those homes are not only still standing today, but they are in impeccable shape. 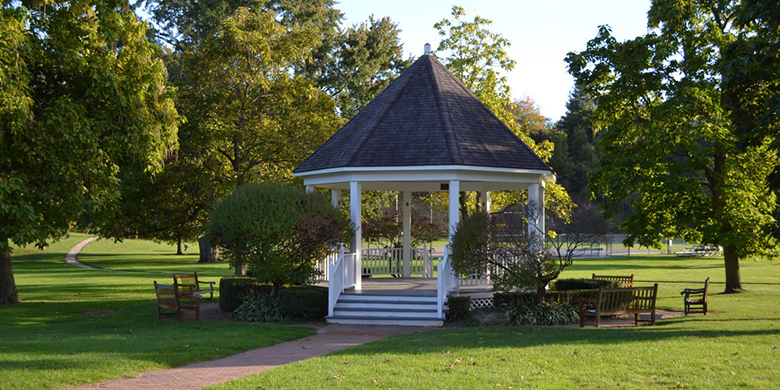 Franklin is famous for its well-preserved 19th-century buildings which are mostly located around the Village Center, the crown jewel of Franklin that is also home to the Village Green. In this area, you will find historic buildings like the Broughton House, which currently houses the village offices; the Temperance House; and the Thomas Midgely House. Blocks of historic homes radiate out from the center, and many have been converted into commercial buildings. Everything is pulled together with special lights, plantings, signs and other elements that lend it a picturesque and alluring feel. Every fall, Franklin families flock to the Franklin Cider Mill. Located right next door in Bloomfield Hills, the mill was founded in 1837–the same year that Michigan achieved statehood—and it continues to be a popular annual tradition. Families can also venture out of the village to the Detroit Zoo, which is in nearby Royal Oak, or even head downtown to check out local sports teams. Franklin also appeals to families with its popular annual events. The Labor Day Roundup, which has been happening for more than 70 years, is a prime example. The family fair includes rides, games, food and much more. Art in the Village happens around the same time and offers arts and crafts by local artisans and vendors.